Despite the fact that all dogs have to go outside to answer nature’s call, some breeds enjoy the great outdoors more than others. Such dogs are not only better suited for outdoor jobs, but they’ll also enjoy outdoor adventures, such as hiking and camping, more than other breeds will. These outside dogs are also better choices for owners who intend on keeping their dog in the backyard for long periods of time. We’ll talk about 21 of the best outdoor dogs below, to help you find the best companion for your needs and lifestyle. Labrador Retrievers are a medium to large-sized breed. They typically love playing outdoors, and many have a special affinity for swimming. Most weigh between 55 and 80 pounds, with males typically reaching larger sizes than females. These wonderful dogs were originally bred to help their owners work fishing nets, but they’re also celebrated hunting dogs, who have a special talent for retrieving fowl from the surface of the water. 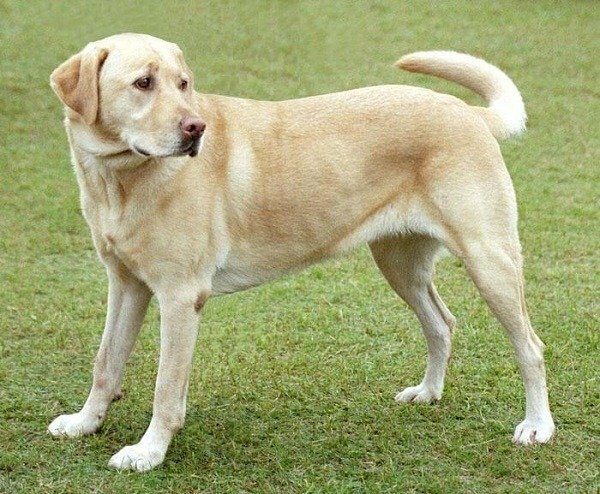 Aside from being one of the best outdoor dog breeds, Labrador Retrievers are also very loyal and understand the nuances of body language, tone, and intent. The Australian Shepherd weighs between 35 and 70 lbs. They are a very intelligent, high-energy breed, and often considered one of the smartest breeds in the world. They were bred for herding, so they are very quick and agile, and they’re always up for a little physical activity. They are also good trackers and seldom used for hunting purposes. 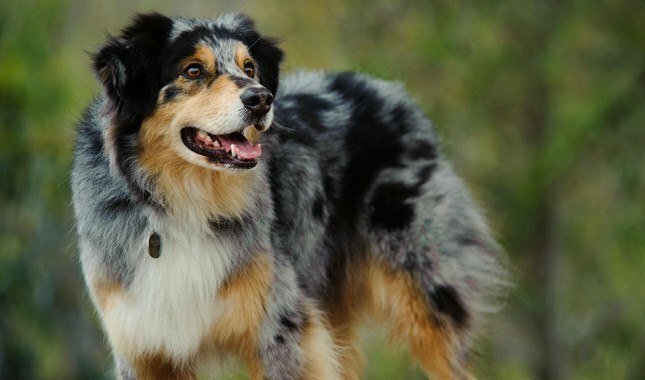 Australian Shepherds are obedient (when well-trained) and excellent with children, although they require plenty of exercise to remain healthy and happy. 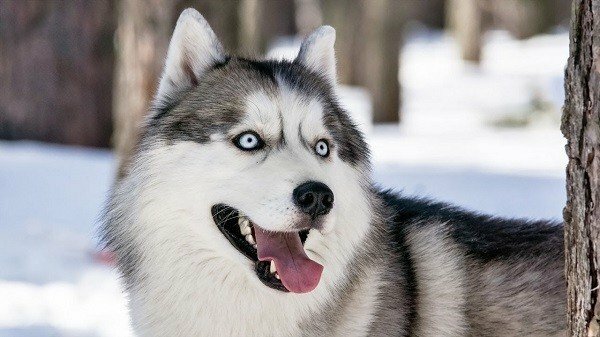 The Siberian Husky is an outdoor dog breed that is well-suited for cold climates. They are working dogs that enjoy a physical challenge, and with their weight ranging from 45 to 60 pounds, they are well equipped for work. They have high energy levels and need plenty of exercise to prevent boredom and destructive behaviors. Huskies are very social dogs, and they love hanging out outside with their owners or other dogs. 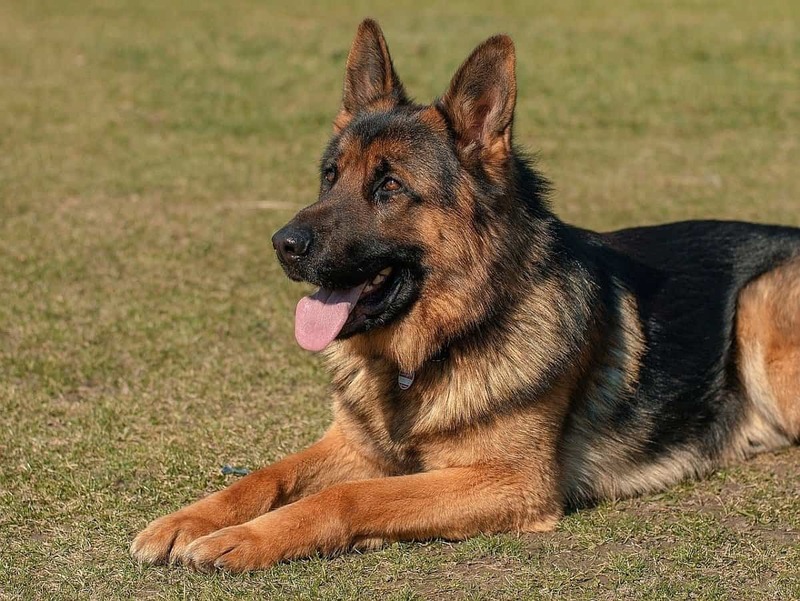 The German Shepherd is a popular breed that can perform a variety of work tasks, but they make great pets too. Originally developed to herd and guard livestock, they’ve also been used in a variety of police and military contexts, where their intelligence, strength, and bravery serve them well. Additionally, German Shepherds also tend to love spending time outdoors, and they’re well-suited for a variety of climates. With an impressive physique and an average weight of 80 to 115 pounds, Bernese Mountain Dogs are gentle giants that were bred to withstand the cold and windy conditions common in their mountainous homes. They have moderate energy levels by herding dog standards, which makes them better pets than some other breeds, and they’re also quite intelligent and loyal. They also love to please their owners. Just be careful when housing Bernese Mountain Dogs outdoors in hot climates, as their long fur can quickly cause them to overheat. 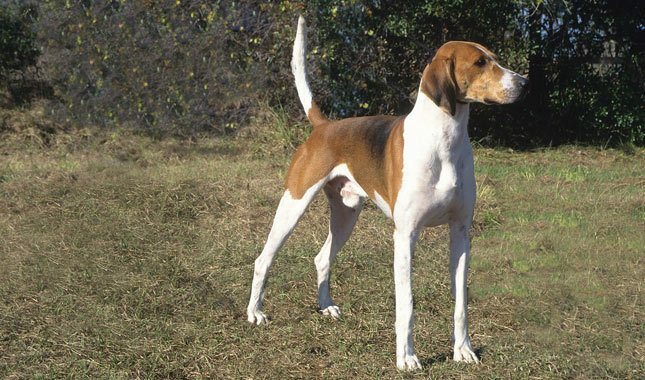 Bred for hunting purposes, the American Foxhound is an incredibly smart hunting dog that loves working and playing outdoors. They are medium-sized dogs, weighing anywhere from 40 to 65 pounds. American Foxhounds are extremely energetic when hunting, and they bring this energy back home once the work day is over — these dogs will only remain happy if they’re allowed to run free for several hours each day. They are also very smart and obedient and make good family dogs. 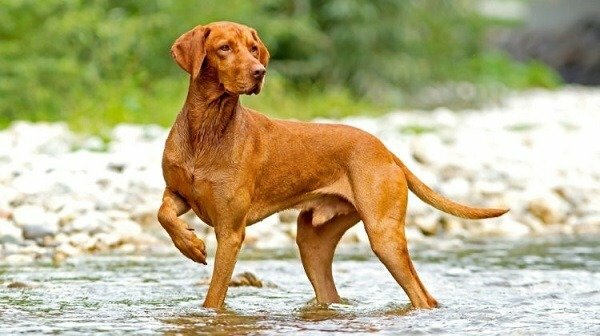 Vizslas are energetic sighthounds, who are among the most active dog breeds in the world. They love being outdoors, where they can exercise their muscles and satisfy their curiosity by exploring forests and fields. They are extremely smart and good-natured dogs, but they need to be kept busy. Originally bred for hunting, Vizslas weigh between 45 and 65 pounds, making them a medium-sized breed. Simply put, Vizslas are one of the most rewarding breeds around, and they are excellent dogs for outdoors. Another arctic sled dog, the Alaskan Malamute is an extremely tough, loyal dog breed destined for hard work. They can be great family pets, but, because of their large size and playful nature, require supervision around children. 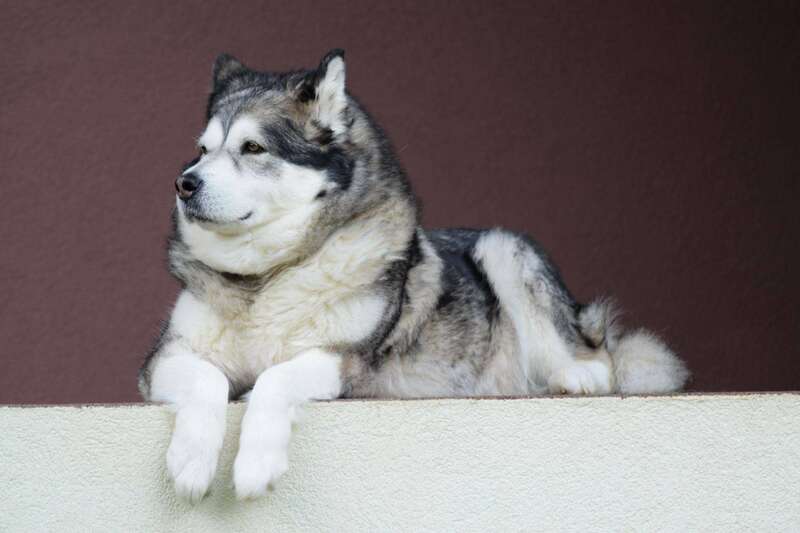 Malamutes are strong-willed animals that are occasionally challenging for novice owners. Weighing between 75 and 85 pounds, Malamutes are large working dogs, who enjoy working outdoors in frigid weather. And note that while they enjoy being outdoors, they are not appropriate for owners living in places with high temperatures. 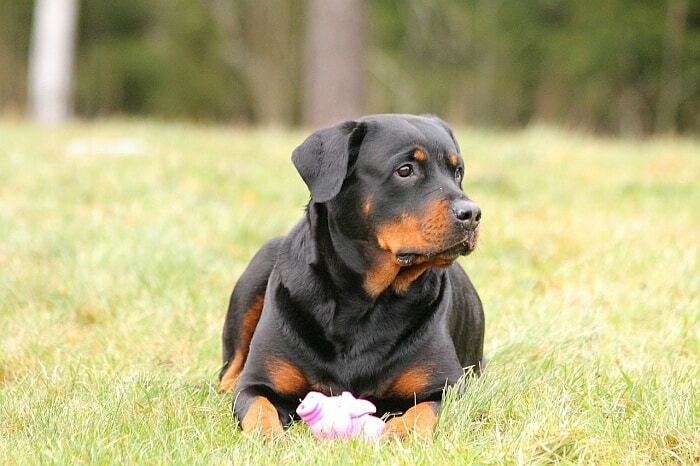 Rottweilers are powerful, large dogs who typically weigh between 80 and 130 pounds. Most love exploring their local park or forest, and many Rottweilers even enjoy swimming. But while Rottweilers love being outside, they do not like to be separated from their families. Rottweilers bond strongly with their owners and are susceptible to severe separation anxiety, so they won’t make a good choice for those who intend to keep their dog in the backyard. Rottweilers are very loving dogs, but because of their size, obedience training is imperative to ensure they remain safe around strangers. One of the most attractive breeds in the world, the Rhodesian Ridgeback is a muscular and agile athlete of a canine. They were bred to work in hot African climates, which helped them to develop impressive endurance and tolerance of harsh climatic conditions. 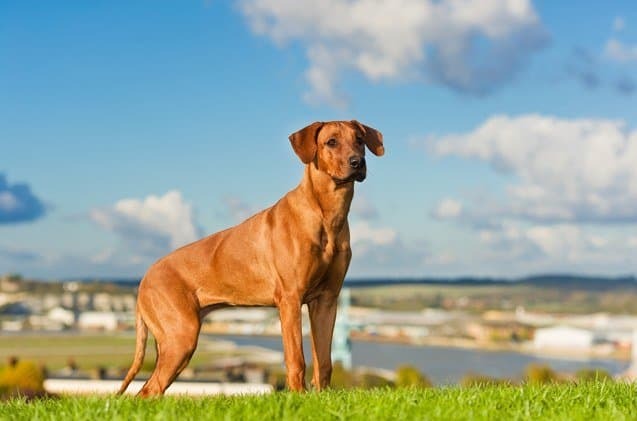 Rhodesian Ridgebacks make great jogging, hiking and bicycling companions, although they can become chilly in low temperatures, thanks to their short coat and lanky build. 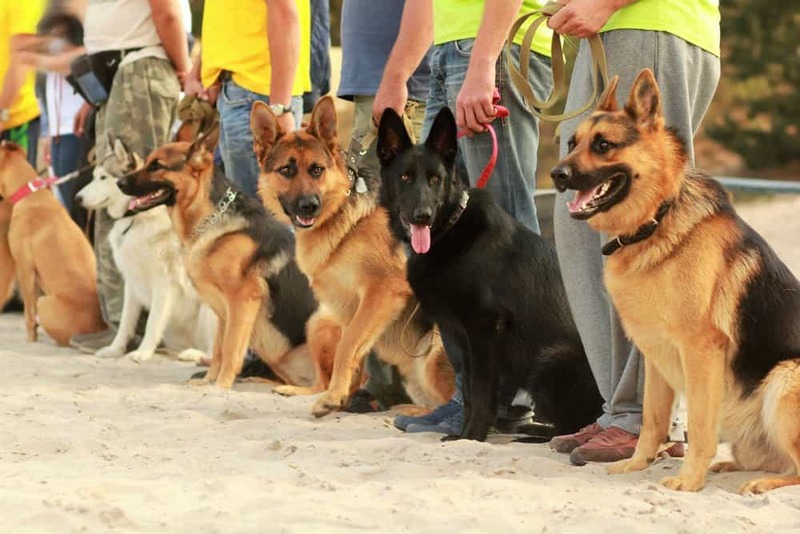 Just be sure that you can provide enough opportunities for exercise to keep these high-energy dogs happy. This medium-sized dog is very popular among the best outdoor dog breeds. It has a short coat so it can take the heat fairly well. Weighing between 35 and 45 pounds, they are ideal family dogs. 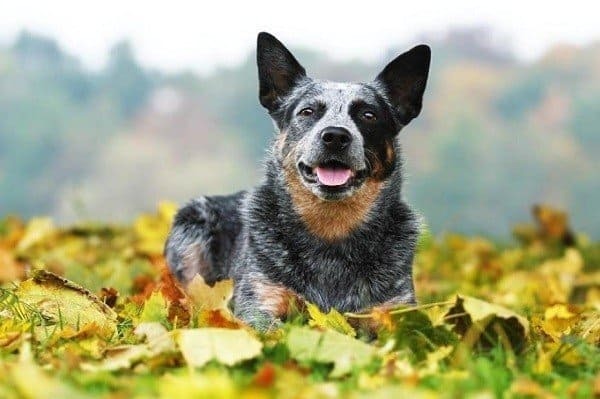 Very smart as well, the Australian Cattle Dog was bred for herding purposes. Thriving when able to run around, they don’t make the best pets if someone doesn’t have enough space, or needs to keep the animal indoors. They are very disciplined if taught well. 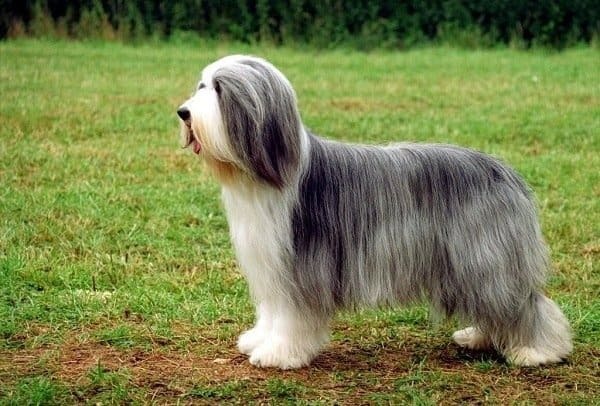 Another popular Collie breed, Bearded Collies, are medium-sized dogs that look much larger than their actual size, thanks to their amazingly dense long-haired coating. They weigh between 45 and 60 pounds and are renowned for their tracking ability. Despite their look, they are agile dogs with amazing abilities, especially sniffing. As one of the best outdoor dog breeds, they are cheerful dogs, constantly wagging their tails. Often mistaken for the Border Collie, Collies or Rough Collies are a Scottish long-haired breed. 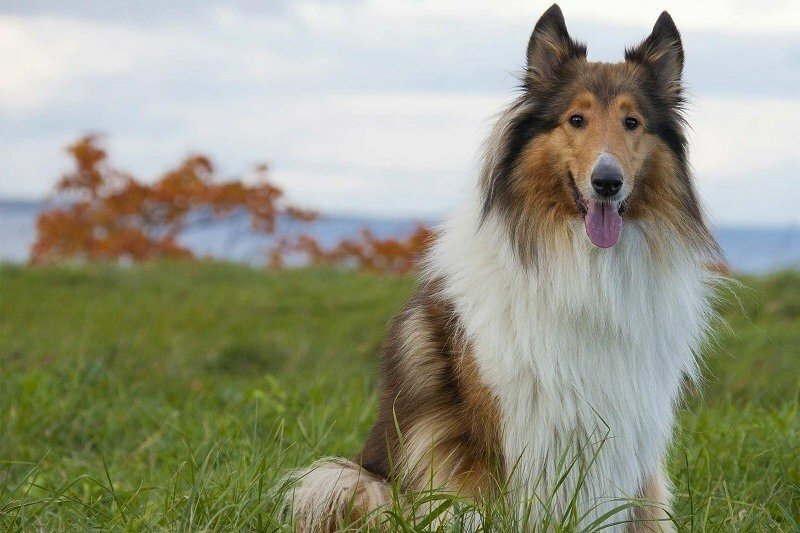 Lassie, the famous dog from the novel Lassie Come-Home was a Rough Collie. They are very athletic dogs bred for herding. Collies possess keen intelligence and boast amazing agility weighing anywhere from 50 to 70 pounds. They are also extremely energetic and can run around all day. When they have a lot of space they are at their happiest. One of the best outdoor dog breeds for sure. 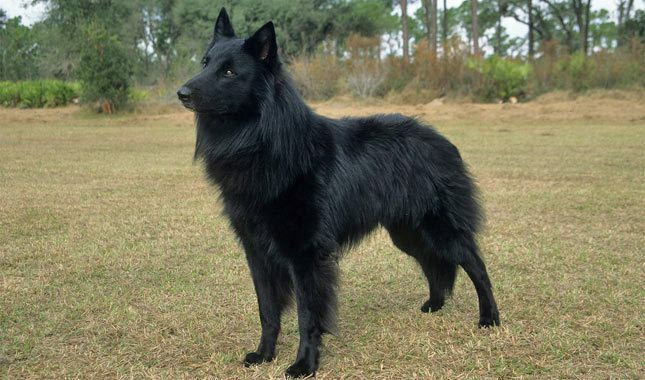 Even though they aren’t a well-known breed, Belgian Sheepdogs are one of the best outdoor dog breeds in the world. They originate from Belgium, where they were bred for sheep herding purposes in the early 1800s. They are large-sized dogs weighing between 50 and 65 pounds, and they have a beautiful black coat. They are agile and obedient with excellent stamina and are notoriously easy to train. Because of these reasons, Belgian Sheepdogs make excellent police, therapy, and family dogs. 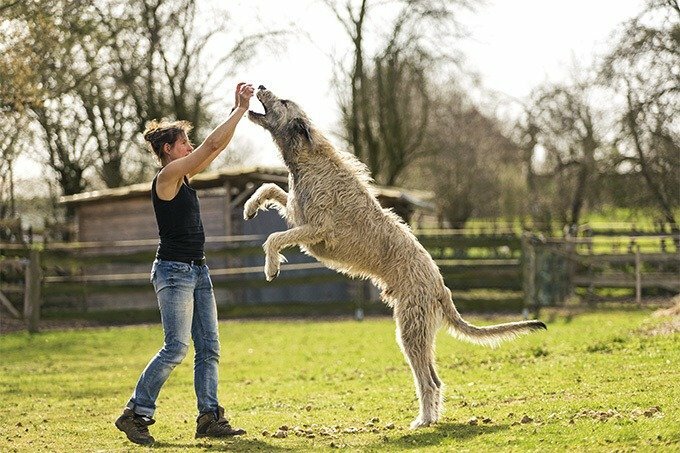 One of the tallest breeds in the world, the Irish Wolfhound is an impressive dog to behold. Occasionally standing over 3-feet-tall at the shoulder, these big dogs were originally bred to hunt deer and other large prey. Wolfhounds have thick, coarse fur that helps to provide them with protection from the elements, thereby making them one of the best outdoor dog breeds in the world. Unfortunately, these large and lovable giants don’t live very long — few live long enough to see their eighth birthday. The Keeshond is another lesser-known medium-sized dog breed that usually weighs between 35 and 40 pounds. 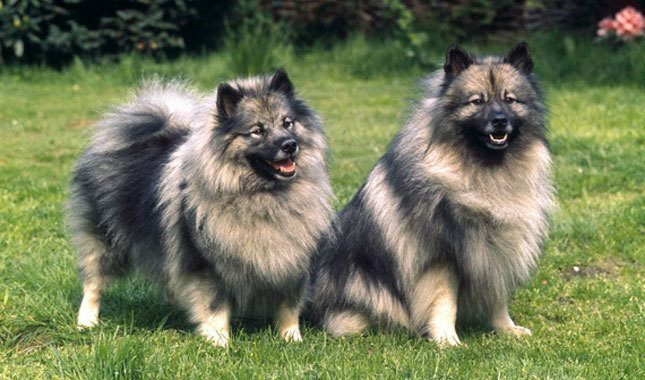 A northern breed with a thick coat, the Keeshond is very well adapted to cold climates, and they are usually happiest when they get the chance to play outside. Although they don’t have quite as much energy as some other breeds, they still require daily exercise. They also require regular baths, brushing and grooming, to keep their coat looking its best. The Norwegian Elkhound is a hunting breed that was originally developed for pursuing elk, bear and other formidable prey. An extraordinarily strong breed, the Elkhound needs the chance to burn off plenty of energy every day. They thrive best in large, outdoor areas where they can freely roam — just be sure that you keep them leashed or within fenced areas, as they have a tendency to wander. Male Norwegian Elkhounds typically weigh about 55 pounds, while females weigh a little less. 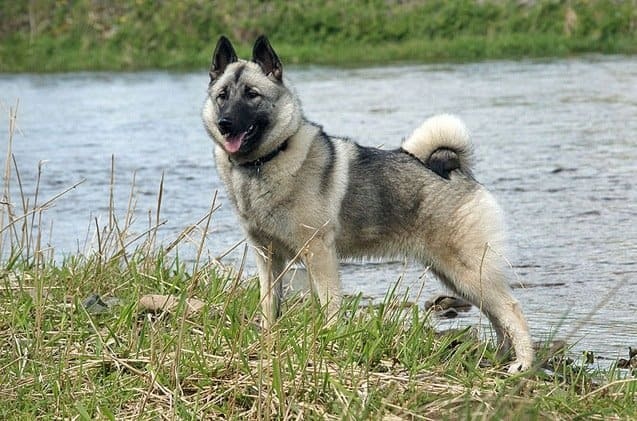 A true outdoor dog breed, the Norwegian Elkhound prefers hanging out outdoors rather than lounging on the couch, and they’ll quickly become frustrated if forced to spend their lives indoors. Weighing about 40 to 75 pounds, the Samoyed is an ancient Siberian dog breed, originally developed to pull sleds and help keep their owners warm at night. They have a white coat and a loyal and loving personality. 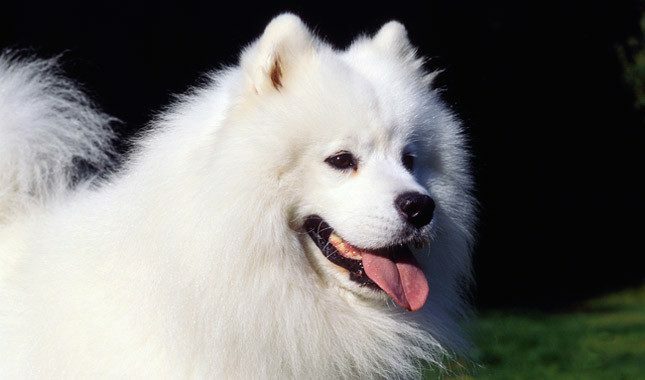 Samoyeds are extremely playful dogs, who keep their puppy-like spirit well into their golden years. Samoyeds are very intelligent dogs, who are often easy to train. However, if they aren’t provided with enough exercise, they can become quite destructive. Nevertheless, they are one of the best outdoor dog breeds for owners living in cold climates. 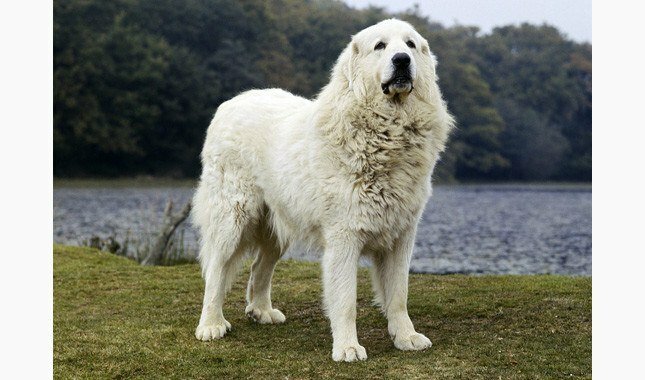 The Great Pyrenees are large dogs who reach weights of between 85 and 135 pounds (males grow much larger than females). They are herding and guarding dogs, bred to work in the cold and harsh weather of the Pyrenees Mountains. Although this breed isn’t as people-oriented as many others, they are still affectionate with their families, and they can make good pets for experienced owners. The Great Pyrenees typically loves spending as much time outdoors as possible, and their thick coats help protect them from cold temperatures and wet weather. One of the biggest breeds in the world, Mastiffs (formerly known as English Mastiffs) weigh between 120 and 230 pounds. However, despite their massive size, they are deceptively athletic. 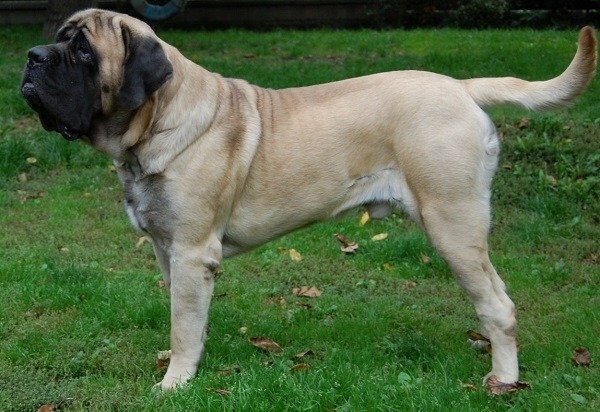 Mastiffs were originally bred in Asia, but later they were brought over to England, where they have remained popular for more than 2,000 years. Mastiffs love being outdoors, so they are ideal pets for those with large, fenced yards, as well as those who live in rural areas. Greater Swiss Mountain Dogs are large canines, who weigh between 85 and 140 pounds. The males are very muscular and large, yet extremely agile for their size. 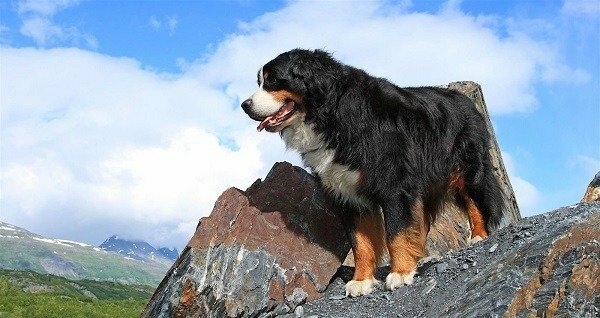 They share many similarities with Bernese Mountain Dogs and Rottweilers, who are both distant relatives of the breed. 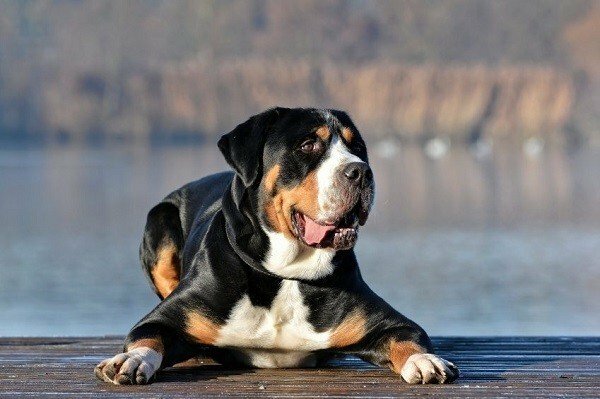 Greater Swiss Mountain Dogs have moderate energy levels, so they don’t require constant attention, but they enjoy their walks and play sessions like any other dog. They are among the best outdoor dog breeds in the world, and they excel at guarding and herding tasks. They are better suited for warm weather than some other breeds hailing from Switzerland and the surrounding region, but they are most comfortable in relatively cool climates. Remember that even the best outdoor dog will require protection from the elements, so always make sure your dog has an outdoor house or shelter into which he can retreat during rain, snow or soaring temperatures. And don’t forget that most dogs will also enjoy getting the chance to hang out indoors with their families on occasion.